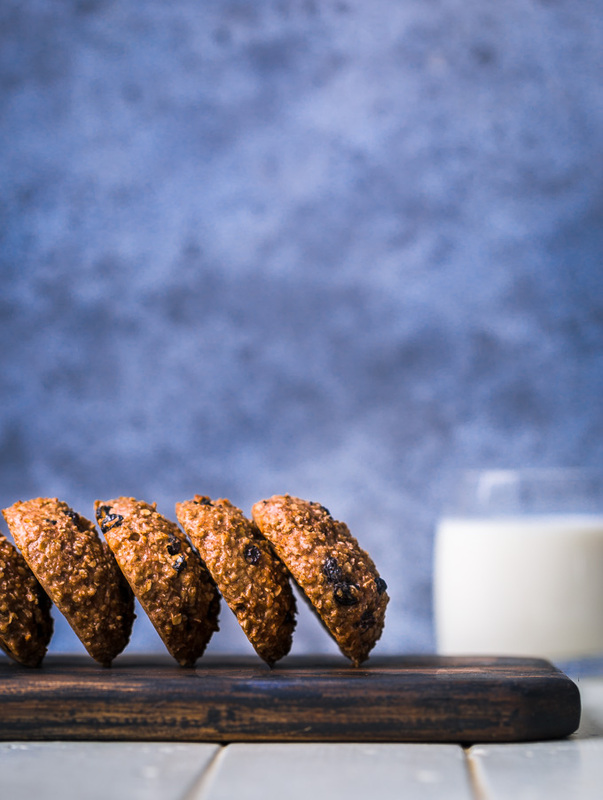 These healthy oatmeal raisin protein cookies are the perfect breakfast or post-workout snack. 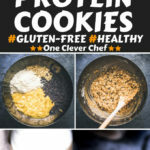 Made with nothing but the best, healthiest ingredients, these gluten-free & protein-packed cookies are easy to make, extra chewy, soft and ready under 15 minutes. They are also egg-free, nut-free and totally kid-friendly! I’ve been making meal prep recipes for a few weeks, but today I am taking a break from these. A very sweet and healthy break. 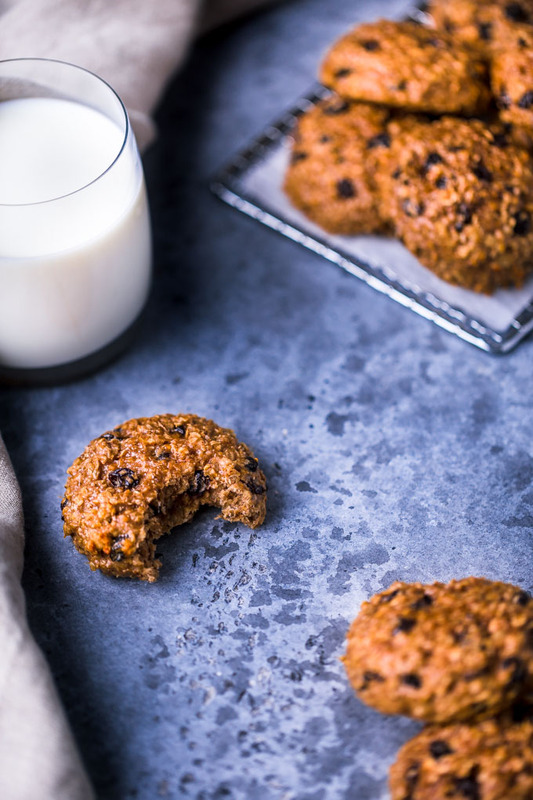 Say hello to these Oatmeal Raisin Protein Cookies right here! 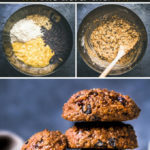 These beauties are very similar to my vegan oatmeal raisin cookies recipe and my 3-ingredient banana oatmeal cookies, except that they’re packed with protein. Whey protein. Oatmeal. Goes without saying right? I’ve used Bob’s Red Mill Gluten-Free Rolled Oats. Some of it was ground into oat flour using my Vitamix, the cookies just hold better this way. Raisins. Again, pretty obvious. Corinth raisins, to be exact. Protein powder. 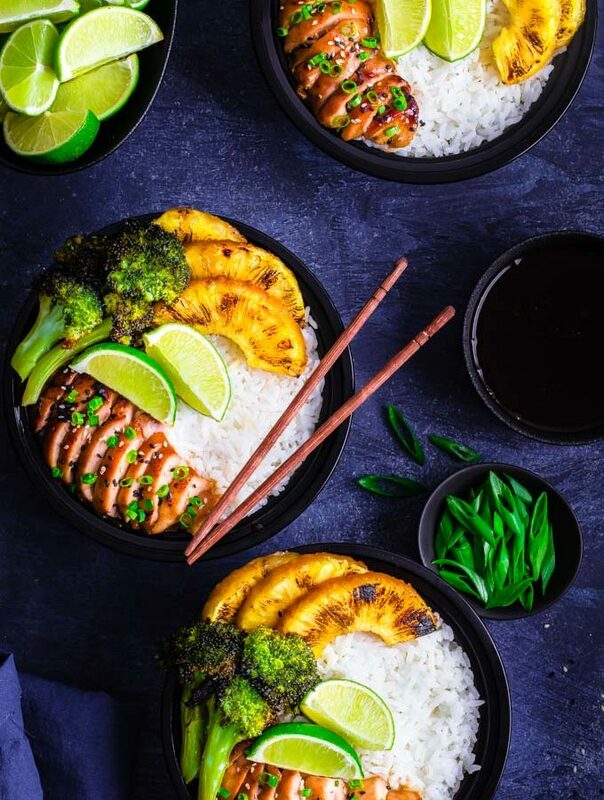 I used regular vanilla whey protein powder for this recipe. Bananas. Very ripe is better, but not mandatory. Mashed. Coconut oil. Melted. Could be replaced with butter, just skip the salt if you do so. Optional: Ground cinnamon. Not mandatory, but tastes way better. Could be replaced with ground ginger, nutmeg or even pumpkin spice! Optional: Salt. Just a pinch. 2. Turn 1/2 cup Bob’s Red Mill Gluten-Free Rolled Oats into oat flour using a blender or food processor. I used my Vitamix at full speed for about 30 seconds. 3. 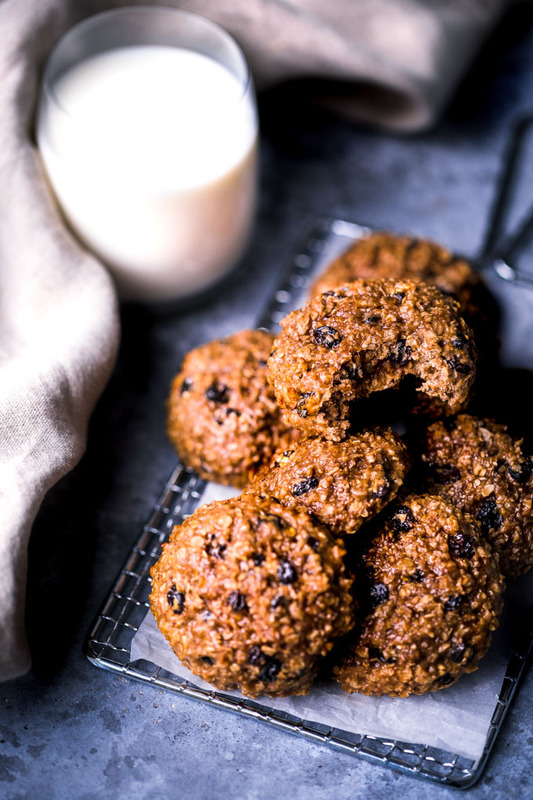 Mix the oat flour with 1 1/2 cup rolled oats, 1/2 cup raisins, 1 1/2 cup mashed banana, 1 cup vanilla whey protein powder, 1/4 cup melted coconut oil, 1 tsp ground cinnamon, and 1/4 tsp sea salt in a large mixing bowl. Gently stir until well incorporated. 4. Line a large baking sheet with parchment paper. 5. 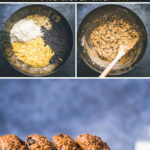 Using an ice cream scoop or 1/4 cup measuring scoop, scoop the cookie batter evenly on the baking sheet, molding every cookie into the desired shape using your hands (these cookies will keep the same shape while cooking). Leave about 1 inch of free space between each cookie. 6. Bake for 10-13 minutes or until the edges start to brown and a toothpick inserted in the center of a cookie comes out clean. 7. Place the cookies on a cooling rack to cool down. 8. 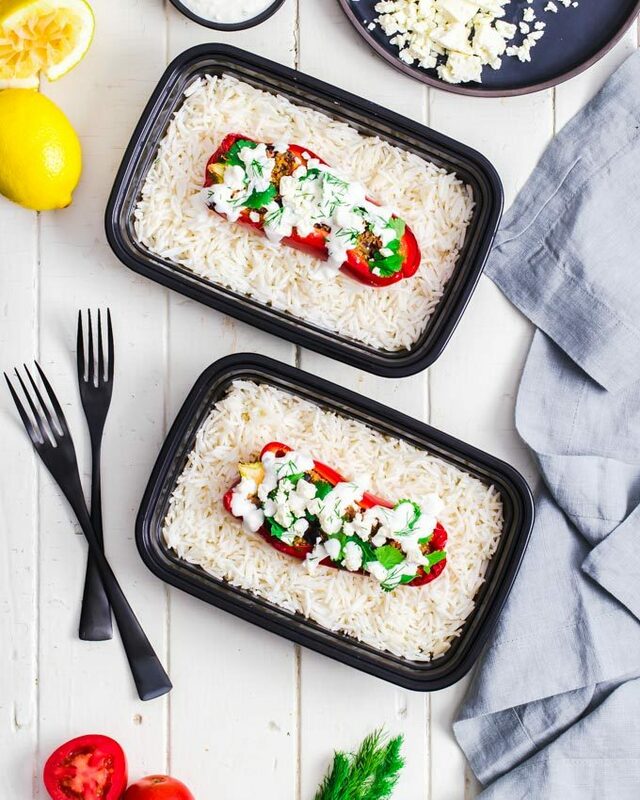 Store in an airtight container for up to 24 hours on the counter, 7 days in the fridge and 3 months in the freezer. 1. 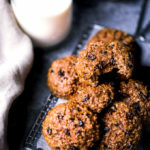 Which type of oatmeal can I use to make oatmeal raisin cookies? Any type of oatmeal can be used. 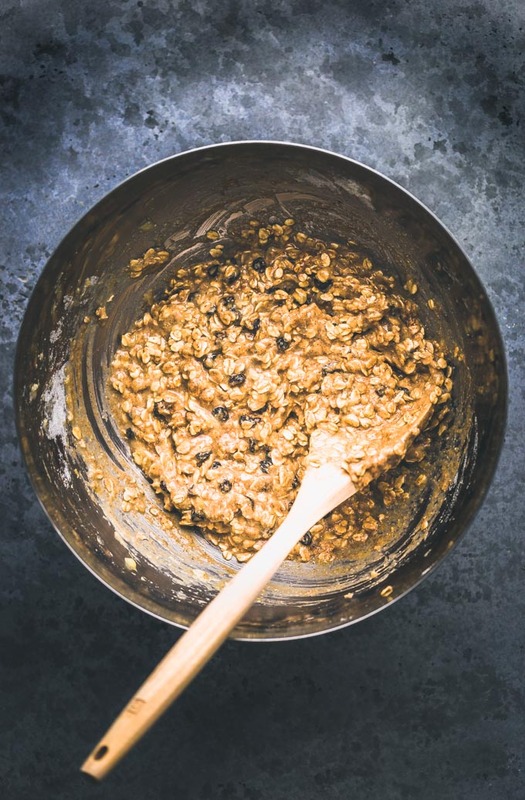 If you use instant oatmeal, you do not need to grind 1/2 cup oatmeal into oat flour, you can skip this step entirely. 2. Why do I have to turn 1/2 cup of oatmeal into oat flour? The oatmeal flakes from Bob’s Red Mill Gluten-free rolled oats are pretty large (and yummy!). Grinding some of it into a fine flour will help the cookies hold together better. 3. I don’t like raisins, what can I use instead? Feel free to replace raisins with nuts, chocolate chips, dried cranberries, lemon or orange zest (1 -2 tbsp), etc. 4. 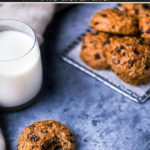 Can oatmeal raisin cookies be frozen? Yes! They can be frozen for up to 3 months in an airtight container. 5. I like my cookies very sweet, are these cookies sweet enough? For my taste, yes absolutely, but some people might prefer to add 1-2 tbsp honey, maple syrup or coconut sugar. It’s up to you. It won’t alter the consistency of the recipe enough to make a real difference. 6. I don’t like whey protein, what can I replace it with? Generally, whey protein powder can be replaced with 1/3 cup oat flour in any baking recipe. 7. 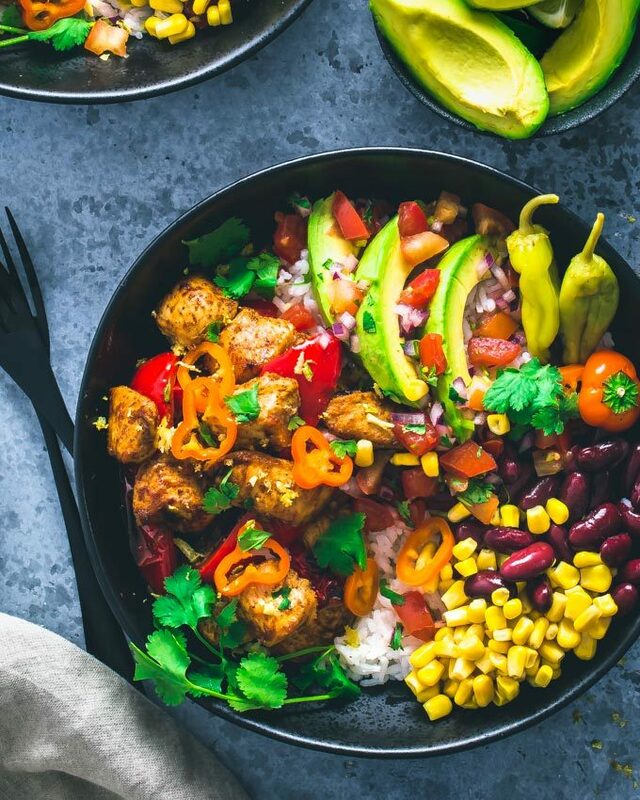 Can I use plant-based protein powder instead? Yes, but you will have to use much less powder, as plant-based protein powders absorb much more moisture than whey. About 1/4 to 1/3 cup of plant-based protein powder should do it, depending on the type and brand. Please note that I haven’t done it myself for this particular recipe and that I provide this information based on past experience only. Results may vary and the taste & texture will also be different. 8. What do I do if my cookies turn out mushy after the required baking time, and why did this happen? 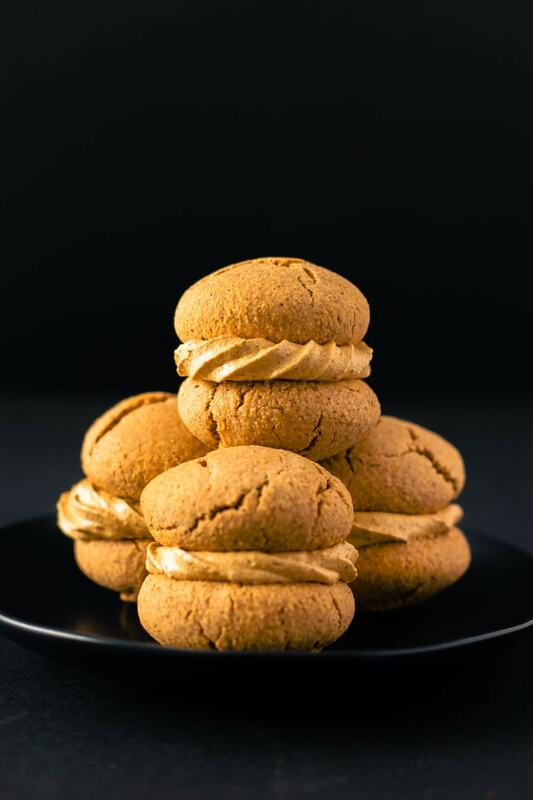 Simply increase the baking time, checking the cookies every 2-3 minutes. They will be ready when a toothpick inserted in the center comes out clean. The exact reason why this happened is hard for me to tell, but it might be because you’ve made a mistake measuring one of the ingredients, it happens! 😉 It might also be because you tried to modify the recipe and the ratio between dry and wet ingredients didn’t turn out right. When I develop recipes, I often bake a recipe up to 5 times to get it perfect. 9. My cookies turned out dry, why? 10. Do the bananas have to be very ripe to make these cookies? No, although it will make for sweeter, tastier cookies, this is not necessary. As long as the bananas are mashed properly, everything will be fine. 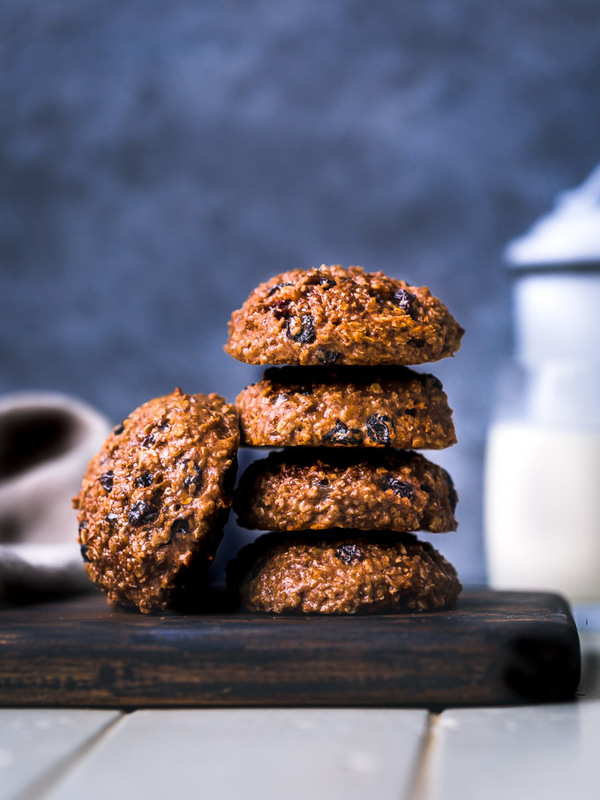 These oatmeal raisin protein cookies are super soft, chewy and moist. They are packed with protein and super healthy. 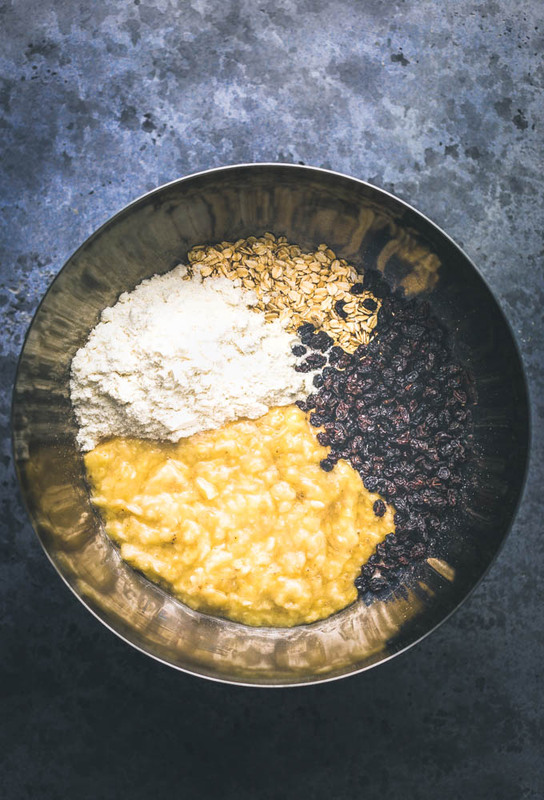 Turn 1/2 cup rolled oats into a fine flour using a blender or food processor. I used my Vitamix at full speed for 30 seconds. 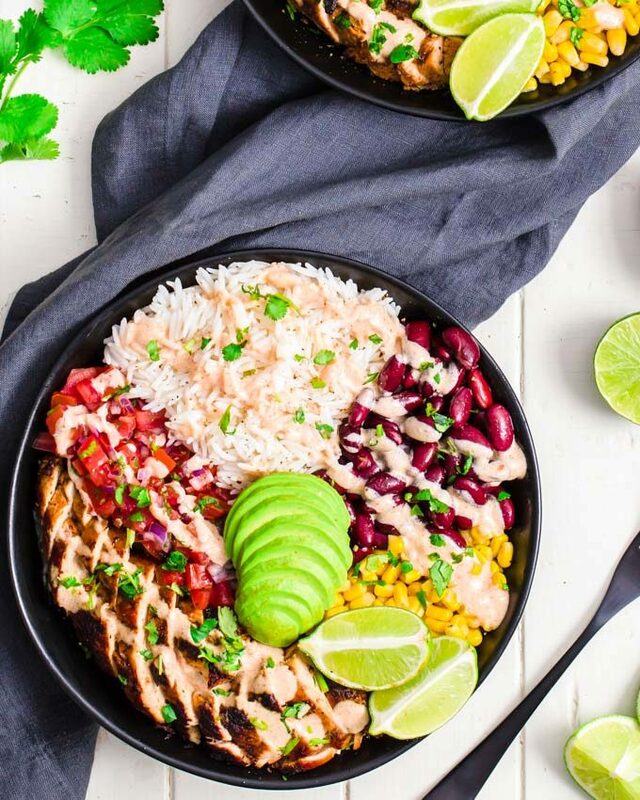 Mix all of the ingredients in a large mixing bowl and gently stir until well combined. Make the cookies. 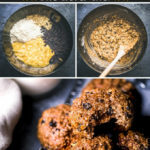 Using an ice cream scoop or a 1/4 cup measuring scoop (a tablespoon would do, too), place 9 to 10 dough balls on the baking sheet, leaving at least an inch of free space between each of them. Mold the cookies into the desired shape using your hands or a fork. Note: The shape of these cookies will NOT change during baking, they will stay pretty much as is. Let cool on a cooling rack before eating or storing. Store in an airtight container for up to 24 hours on the counter, one week in the fridge and up to 3 months in the freezer. *Feel free to refer to the FAQ section right above the recipe card for any additional questions you might have.